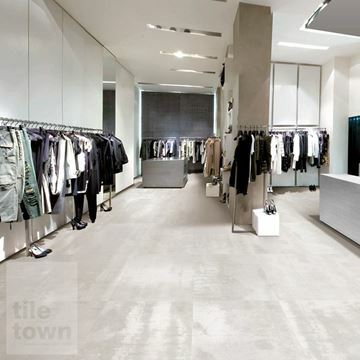 Porcelain tiles are possibly one of the most versatile types of floor tiles – they can be manufactured to look like anything from natural stone to concrete, modern metallics to slate, and much more. 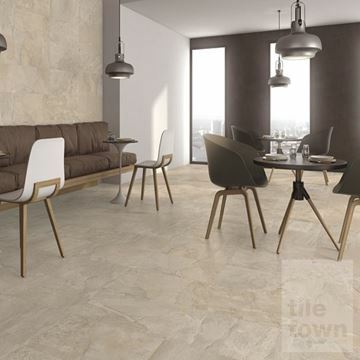 Man-made to be strong and resistant, porcelain is an excellent way to bring class and quality to your home, and it won’t make much of a dent in your bank account. 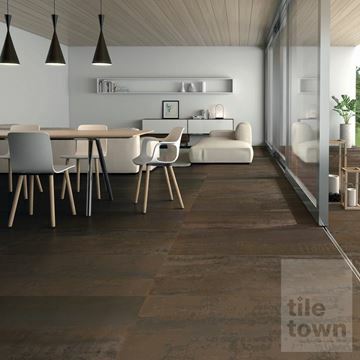 Tile Town’s newest ranges include a wood effect, which is virtually indistinguishable from the real thing, with none of the drawbacks. 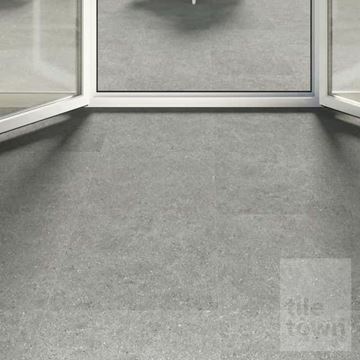 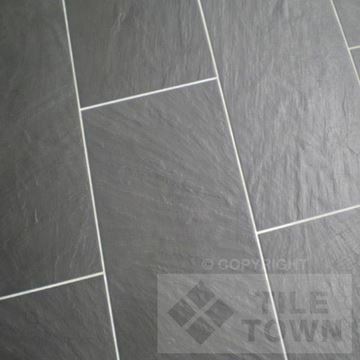 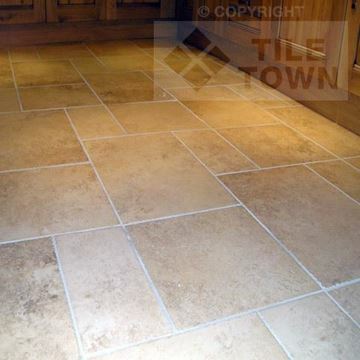 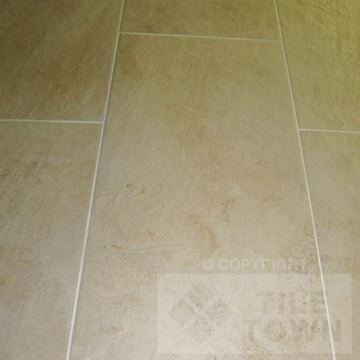 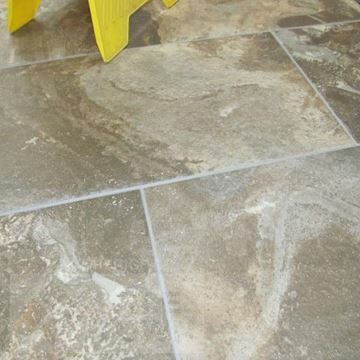 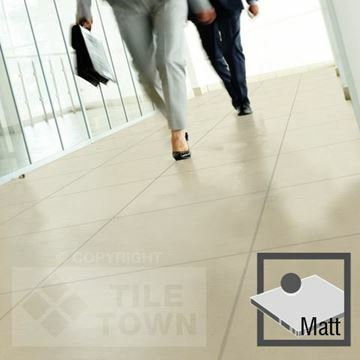 Porcelain tiling is both great to look at and extremely durable. 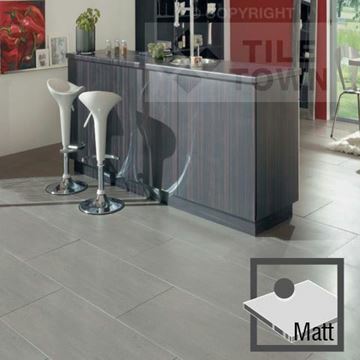 We have porcelain tiles for floors in endless colours, styles and finishes, able to match and complement any décor. 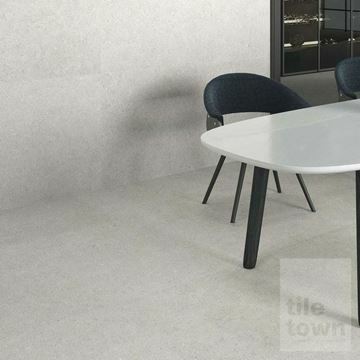 The bonus is that, as porcelain is maintenance-free and very durable, very often these tiles are more resilient than the materials they mimic! 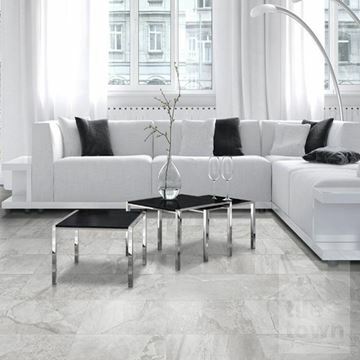 Why go for the real thing, when porcelain will withstand more and last longer. 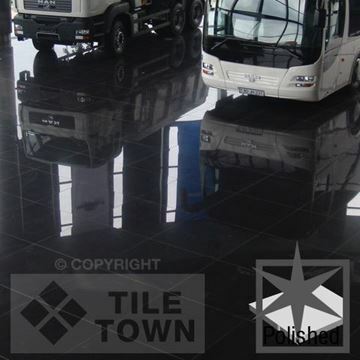 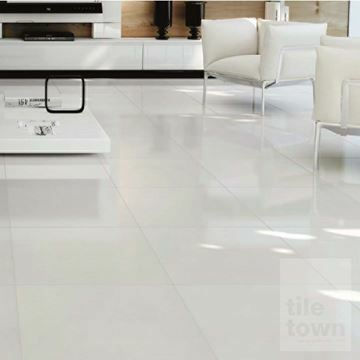 Constructed from pure materials fired at very high temperatures, these tiles are stain, scratch, shock, frost and chemical resistant. 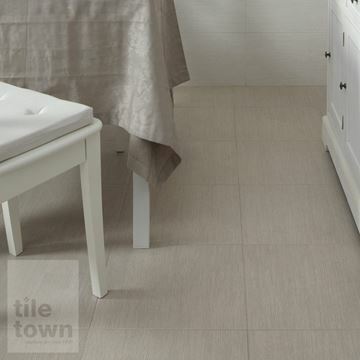 Use it in rooms where spillages and water are common problems – porcelain is exceptionally easy to clean and dry. 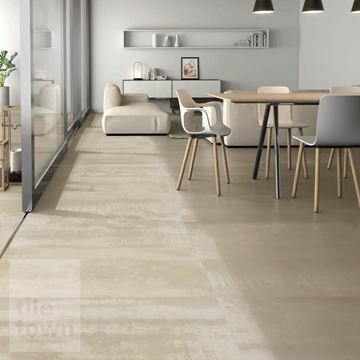 Compared with ceramic, porcelain is denser and less porous, meaning that it’s suited to both indoor and outdoor application. 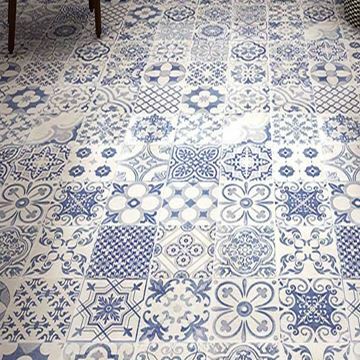 Porcelain can generally withstand a bit more foot traffic than ceramic can. 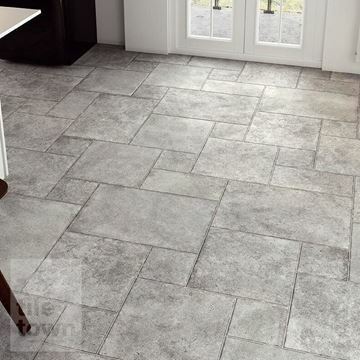 Bathrooms, kitchens, hallways, conservatories and commercial areas will all benefit from the durability and style of porcelain tile flooring. 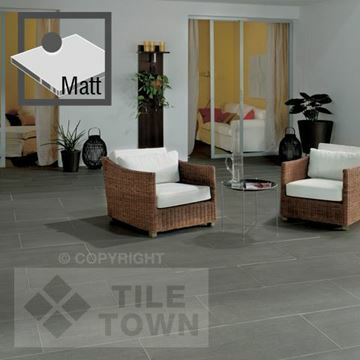 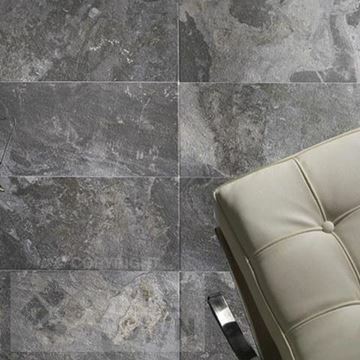 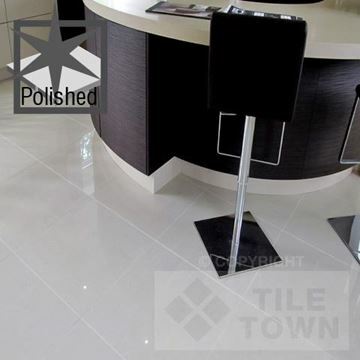 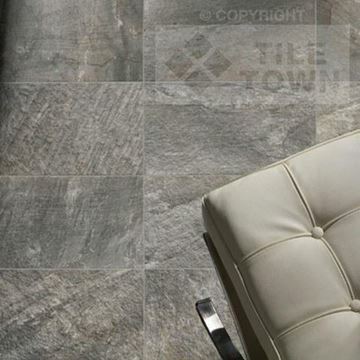 We’re very pleased with the array of porcelain tiles that we’ve got available for you. 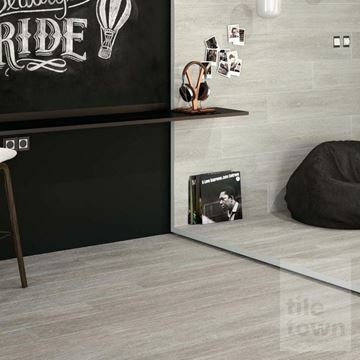 Our huge selection of colours, designs and finishes means that you are sure to find whatever you need to complete the look of your room. 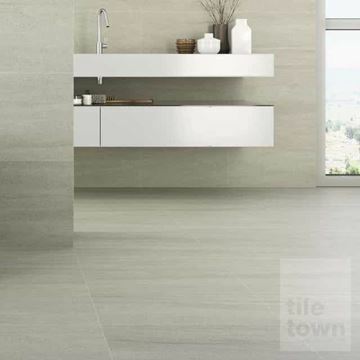 We make sure that we only sell the highest quality products from industry leaders in porcelain tiling – our suppliers include RAK Tiles, Karaben, Pamesa and Ibero Alcorense, among several others. 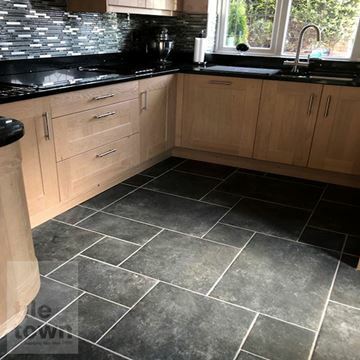 Prices mostly hover around the £22 to £35 per square metre mark – you don’t need to break the bank when it comes to getting the dream flooring for your home. 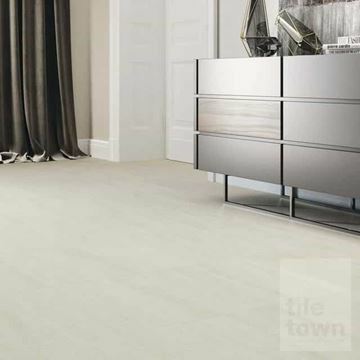 If you’re thinking wood, then look no further than our Darwin range. 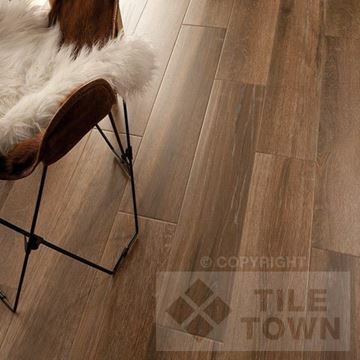 You’ll find a great variety of wood effects, ranging from the chocolatey Moka to the more washed out Oak. 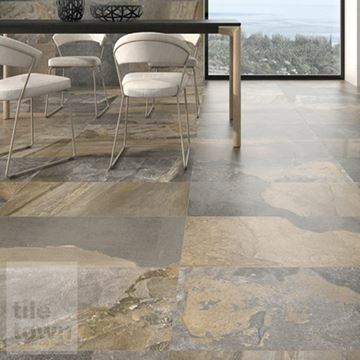 The natural look comes from the fact that each tile will vary in colour in colour from the next, which avoids a fake and cheap looking effect. 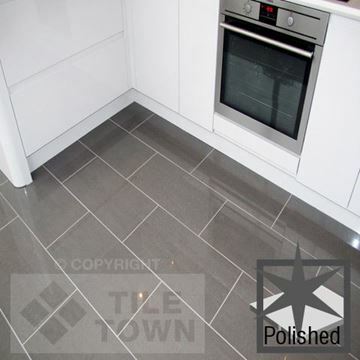 Want a bit more shine to your floor? 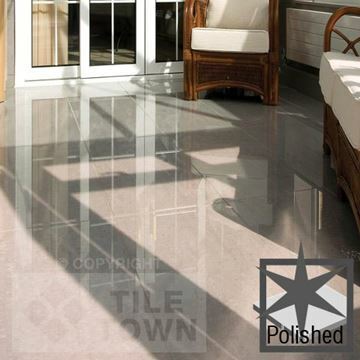 Try the Lounge Polished range from RAK, which offers a high-quality sheen in a variety of colours, such as ivory and dark grey. 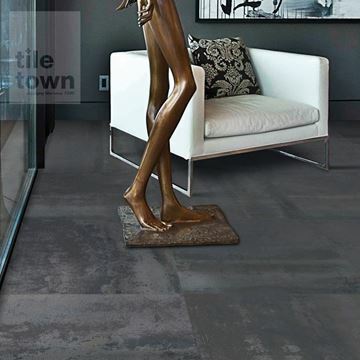 Perhaps you want something a little more striking and eye-catching. 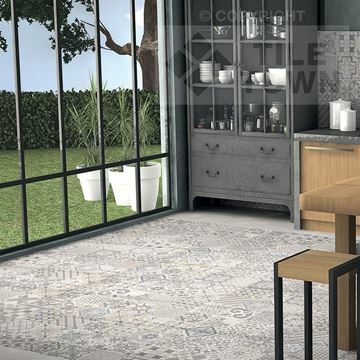 Provenza Deco Floor is a beautiful choice, which is designed to imitate the striking patterns of Moroccan flooring. 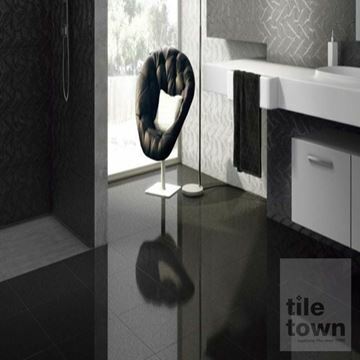 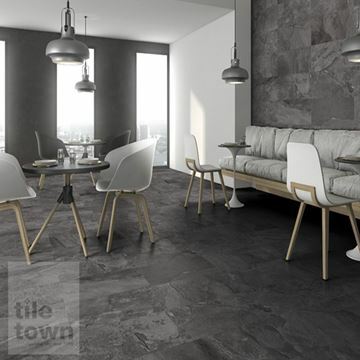 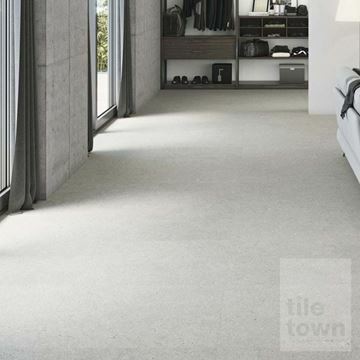 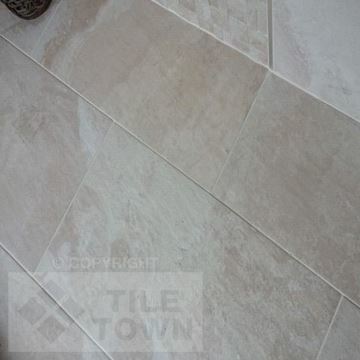 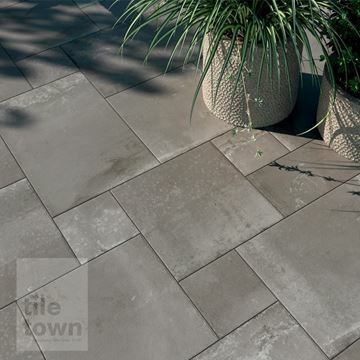 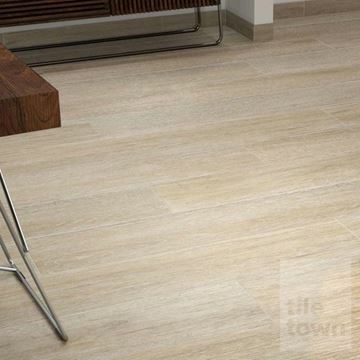 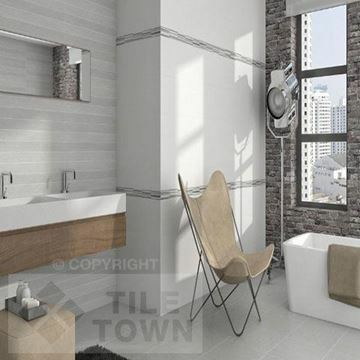 These examples are only a tiny fraction of the variety we offer at Tile Town. 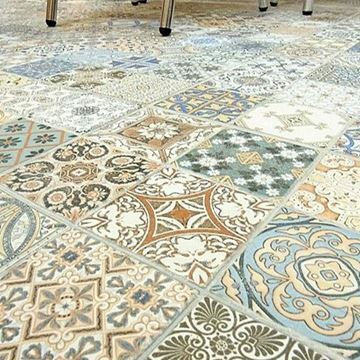 We absolutely believe that flooring is never something you can under-think. 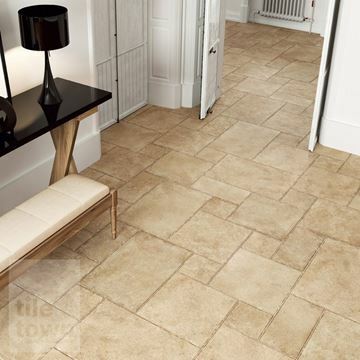 Take your time and look through our catalogue, we’re sure you’ll find the flooring for you.